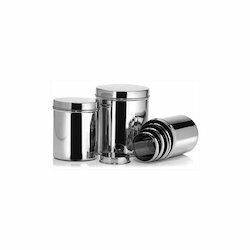 We offer Ubha Dabba which are made from premium quality stainless steel. They incorporate an ultra shiny finish and add grace wherever they are kept. They are easy to clean and maintain and thus ensure durability. 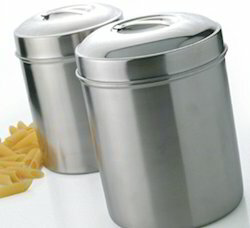 We offer them at stainless steel kitchen canister, stainless steel canister set at competitive prices. 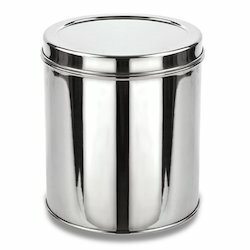 We cater a distinctly designed assortment of Stainless Steel Canister, which is widely appreciated for their unique designing and capacious shapes that are in line with the international market standards. 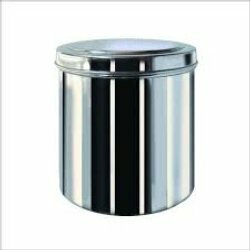 Offered at industry leading prices, this canisters are suitable for storing various cooking ingredients like spices, sugar, salt, flour and other allied stuffs. 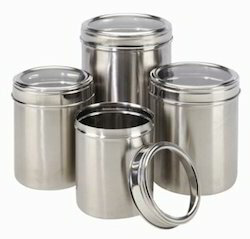 We offer Stainless Steel Roti Canister or Puri Dabba are applicable for carrying eatable in a neat and a pleasing way. These are various in various sizes and one can purchase these from us as per their choices. These dabbas are offered by us at market leading rates. We hold expertise in offering a wide range of Coloured Canister to the clients. 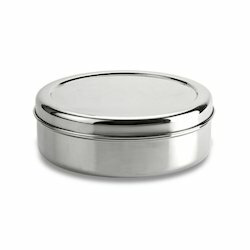 The base of these canisters is manufactured using compact stainless steel. These canisters have three compartment units. Our professionals manufacture these canisters keeping in mind the international quality standards and norms. We deliver these products in proper packaging in order to protect these from damage during transportation. We are into manufacturing and exporting of quality Dome Cover Canister. These are available in various sizes and shapes. Our in house experts can modify the shapes and also the designs of these products. Customers can also purchase these products directly from us. 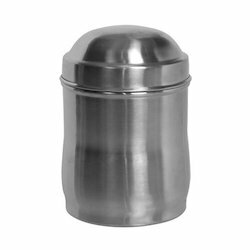 Our elegant range of Steel Plain Canister make your serving even more royal as they have been made from premium quality stainless steel. They incorporate an ultra shiny finish and add grace wherever they are kept. They are easy to clean and maintain and thus ensure durability. Supported by a sophisticated infrastructure facility, we are able to offer a wide range of Maharaja Canisters. We manufacture these canisters using optimum quality stainless steel and advanced technology. Our clients can avail these products in different sizes, designs, patterns and shapes in the market. Further, our quality controllers check these products on varied parameters before final shipment. We manufacture Tea Coffee Sugar Canisters. Please contact us for further details. 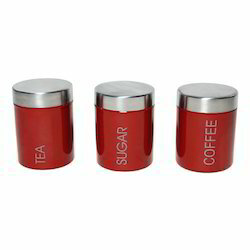 We manufacture Tea Coffee Sugar Canisters in various designs. Please contact us if you wish to buy. 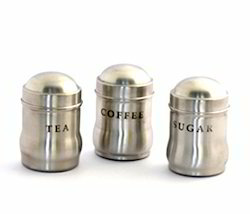 We have with us, an enchanting collection of Stainless Steel Canister (See Thru Lid) Sets, which are ideal for all kinds of storage purposes in the kitchens. Owing to their wide application, we offer these canister sets with stainless steel canisters, stainless storage jars and other storage items. Made from high grade stainless steel. We offering a wide range of Ring Cover Canister which are in apple shaped. These can be used for a number of applications for storing food items. These are available in a number of sizes. These have attractive looks with high durability. These can be used for serving as well as carrying food items. We provide these attractive boxes at competitive prices. 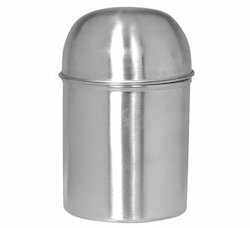 Looking for Stainless Steel Canister ?